Pupils and staff from Dame Allan’s Schools in Newcastle, from the nursery to the sixth form, voted to raise funds for Sir Bobby Robson Foundation this year. 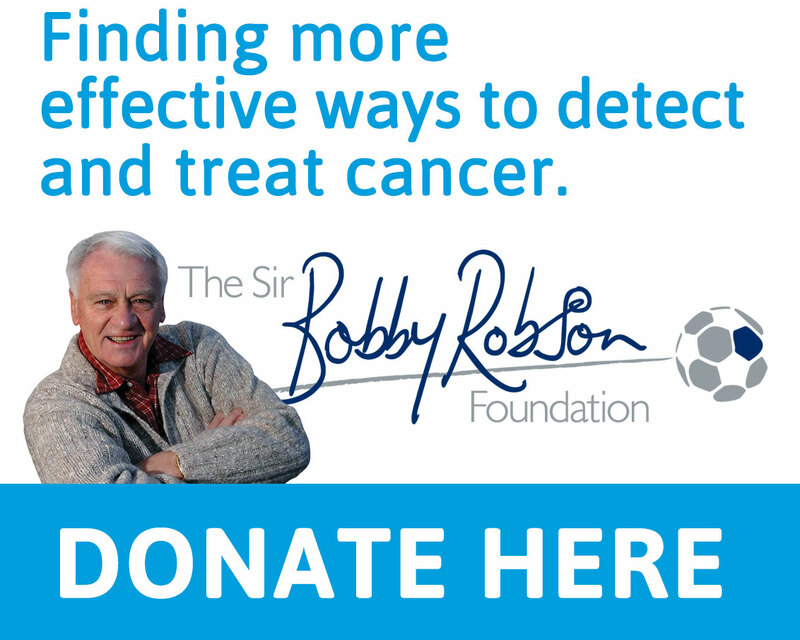 Together, they undertook a sponsored walk along the Derwent Valley, raising £7,807 for the cancer charity Sir Bobby launched in 2008. The walk was organised by the schools’ charity prefects Amy Shaw and Rob Kellaway and their successors Suzie Barwise-Munro and Patrick Cunningham, who took over their roles in May. Alan Shearer, a Patron of the Sir Bobby Robson Foundation was pleased to meet up with representatives from the Schools to receive their cheque for the money raised. 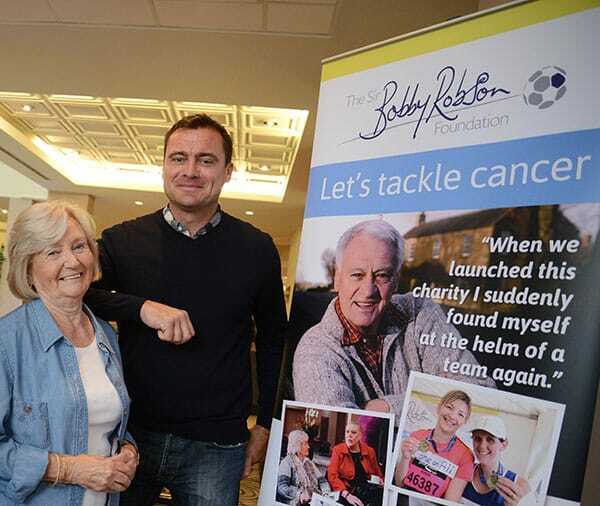 Alan says: “It’s fantastic that the entire school voted on which charity they wanted to support this year and we’re really pleased they chose the Sir Bobby Robson Foundation. “They’ve raised an impressive amount of money and included everyone in their challenge, from the very youngest to the most senior pupils. That’s something I’m certain Sir Bobby would have been greatly touched by. Pupils and staff were sponsored to walk all or part of the 11 mile route between Blackhill and Blaydon. They received a great boost when they were joined by cancer charity fundraiser, and now Pride of Britain Fundraiser of the Year, Tony ‘the Fridge’ Phoenix-Morrison carrying his trademark appliance. And, at the start of the day, Professor Ruth Plummer, Sir Bobby Robson’s oncologist and director of the Sir Bobby Robson Cancer Trials Research Centre, spoke to the members of the Sixth Form explaining the importance of the Centre and how the funds raised by the sponsored walk would help the work of the charity. Dr John Hind, Principal of Dame Allan’s Schools, says: “I am proud of the efforts of everyone, both pupils and staff, who took part in the walk and for their tireless fundraising for a charity that is having such a profound effect on the life of people in this region.